The Government’s blueprint for the future of medical services has the linguistically conflated title of Sláintecare. For most, it is just some remote scheme which, like many others, will remain aspirational. Yet occasionally the proposal becomes news, as it has done recently, with the decision by the Department of Health that henceforth those under the age of 12 should have free GP treatment. The plan is to roll this out in different groups over the coming decade. Sláintecare is a 10-year plan aimed at reforming healthcare in Ireland and it has a programme of 100 actions to be taken which will, we are informed, be the building blocks for the improved, efficient health service. It is evident many are sceptical of the likely outcome of the plan. A much more limited plan for psychiatry from that same government department did not come to full fruition. Published in 2006, ‘A Vision for Change’ set out the 10-year road map for a new model for the psychiatric services. Indeed, the reforms proposed by it had been first signposted in 1968 and the document is now defunct. Many of its goals remain unfulfilled and it is awaiting revision. Giving effect to the 100 action points which have been proposed will be an even bigger challenge. For example, one goal listed in the appendix is to tackle unacceptably long waiting times and emergency department pressures. Surely that, if is it doable, should have happened already? Another, and probably the most radical, is to review the impact of removing private practice from public hospitals and making GP services available to all, free of charge. There is also a plan to align individual hospital services with Community Health Care Organisations (CHCOs), of which there are nine nationally. The CHCOs include not only psychiatry and general practice but also others like public health. To achieve these objectives, an implementation group has been established. This group consists of GPs, physicians and surgeons, public health physicians, business strategists and members of the public who are stakeholders. Psychiatrists have not been included, nor has psychiatry been specifically mentioned in the plan. This is a great pity as we work closely with hospital-based doctors as well as GPs and community-based services. Whether this omission is due to indifference or oversight is anybody’s guess. The plans set out in the government documents all cost money. Yet they have not been costed by the Department of Health. The separation of public and private services is arguably the most challenging. The thinking is that this will free up much sought-after beds for patients with low income who depend on medical cards. So waiting lists for outpatient appointments and surgical procedures will be shortened. This, in my opinion, is desirable. But it comes at a cost, as yet unknown and not debated. The loss of revenue from private patients will lead to a loss of between 10-15pc of total income for public hospitals. This will have to be remunerated. Private medical insurers will likely increase their charges so as to subsidise the newly emergent private system, an action which will disincentivise new members. This in turn will place an additional burden on the public service which, in the face of unaffordable private cover, will turn once again to it for treatment. The separation between private and public healthcare will have knock-on effects on new consultants. The tricky problem of consultant contracts linked to this could kill Sláintecare. At present, consultants can opt to have private and/or public patients. Thus the salary paid by the HSE to a consultant seeing both private and public patients is less than for those engaged in exclusively public work, as the former are reimbursed by the insurers for the private component of their work. Presently most consultants hold this type of contract. If all future consultants are working with public-only contacts, this will have to be remunerated by the HSE, likely at some significant cost. The alignment between hospitals and CHCO services may seem a good idea in terms of seamless care from hospital to community but, inevitably, hospitals will only be able to treat patients from a specified geographic area, aligned to the Community area. Psychiatry has always provided services on the basis of address. For patients, it is wholly unsatisfactory as it deprives them of choice. For general hospital services, it will entail turning away those who do no live in the catchment area served by that particular hospital. It is questionable whether most physicians would work comfortably with this model. This is already in operation to some extent with ambulances taking patients only to specified hospitals earmarked by address. The proposal to provide extra staffing such as GPs, nurses and doctors of all grades will also have cost implication. There is still under-staffing in medicine. There are around 3,000 hospital consultant posts in Ireland and more than 500 of these are filled by locums and consultant in short-term posts. 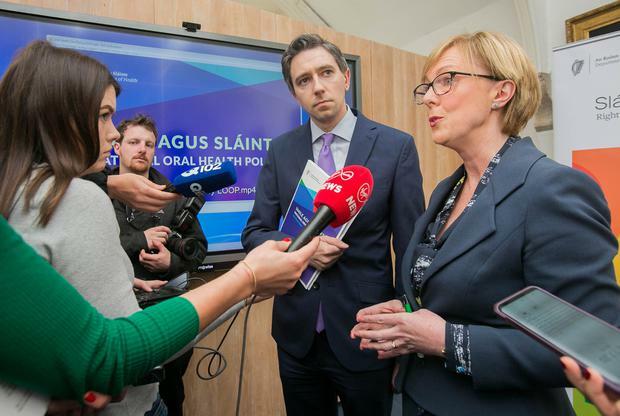 Unless the new contracts are appealing enough to attract the medical and nursing diaspora back to Ireland, the numbers of posts without permanent medical and nursing personnel will continue to expand. This is not a blueprint for a developing service. Doctors’ groups and unions such as the Irish Medical Organisation and the National Association of General Practitioners have questioned the feasibility and workability of the proposal. A further indication that our expectations for further developments in our health service should be lowered came from none other than the Taoiseach himself. In July last year, Leo Varadkar delivered a decisive statement that there was no extra funding available for health-related initiatives. While it is good that government recognises deficiencies in our health service which need to be rectified, Sláintecare is more likely to be window-dressing to appease a disgruntled electorate than a real attempt to deal with the intractable problem of health resources.